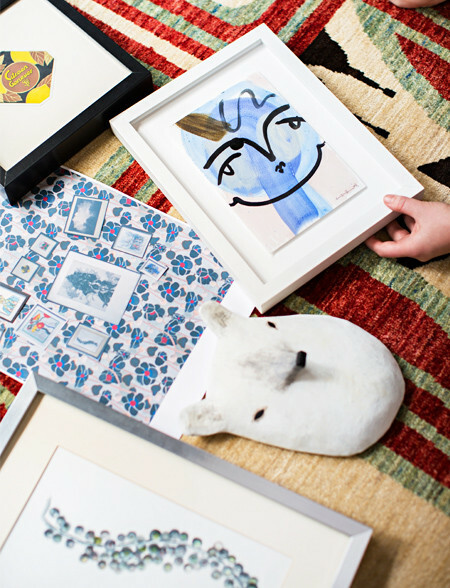 Whether you want to create a statement in your living room or simply make a wall come alive, a gallery is a creative way to tell a story about yourself and the things you love. 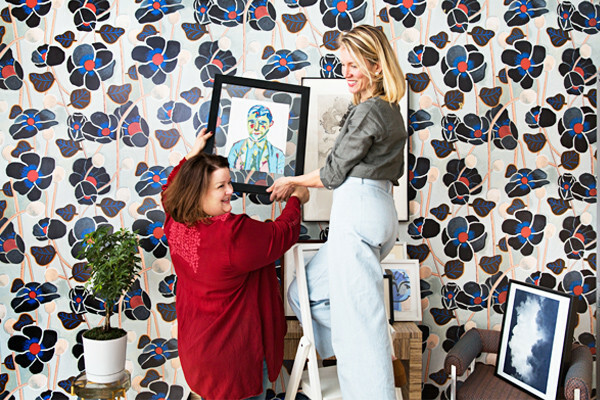 To help you tackle that intimidating blank wall and achieve a Pinterest-worthy aesthetic, we tapped textile and design specialists Stacey and Kate of Studio Four for pro tips on creating the perfect gallery wall! Hi, we’re Stacy Waggoner and Kate Reynolds! 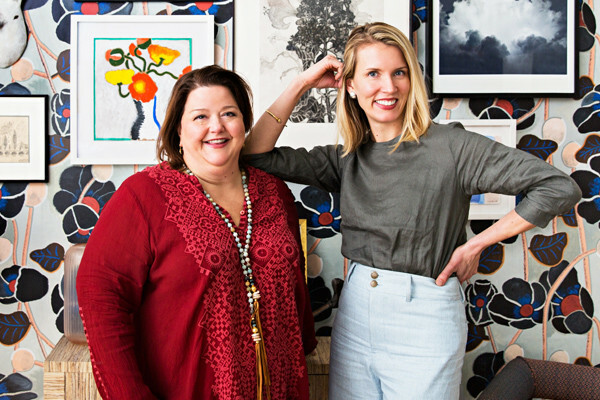 Together, we founded Studio Four in 2009 to shine a light on the stories behind textile, wallpaper and rug design. By fostering relationships with up-and-coming artisans and people who’ve spent their lives committed to craft, we trust that when our products are brought into your home they will be cherished for generations to come. 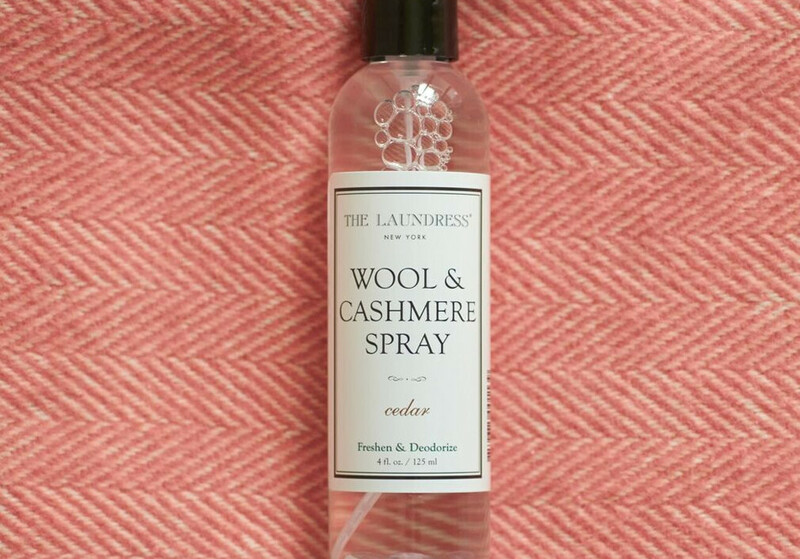 Over the years, we've grown into a big, happy, textile-loving family. 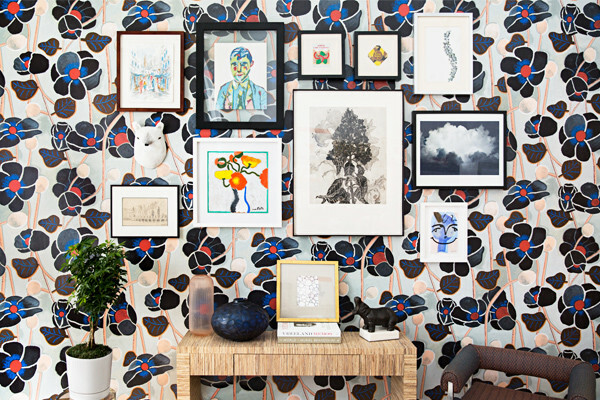 A gallery wall is not necessarily the best place to show off your most prized piece of art, but it’s a wonderful vehicle to display your style and personality through a mix of collected art and objects. Use a range of sizes and shapes, making sure to mix portrait and landscape-oriented pieces to create interest in your composition. 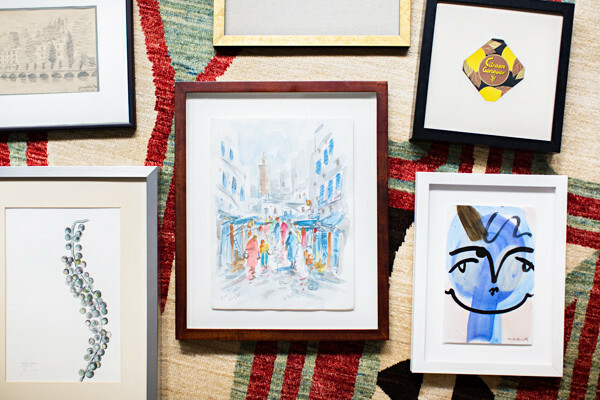 Use a variety of frames so it feels like you have collected these pieces over time—try to avoid a matchy-matchy feel. Don't be afraid to throw in a quirky piece and to use a variety of media. 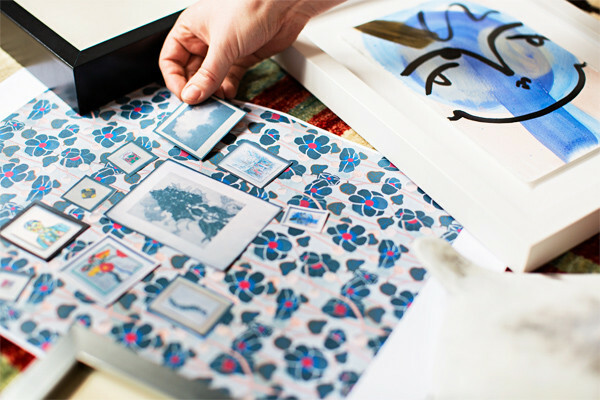 Paintings, prints, photographs and objects can all live happily together! Your gallery wall is a great place to tell a story about who you are and what you love in life. Map it out and arrange your thoughts before you get out your hammer and nails. We like to do this on the floor and we always start with the bigger pieces as anchor points filling in the space with smaller pieces to create balance. 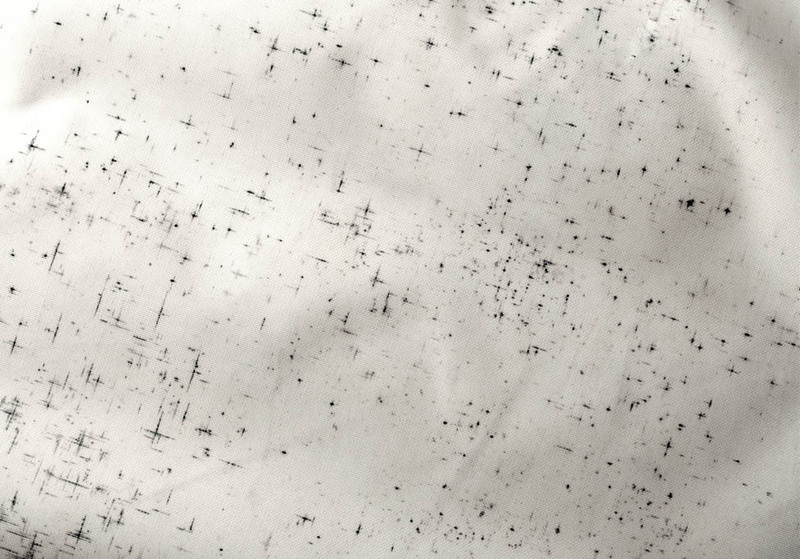 Another approach for creating your composition would be to snap a pic of each piece and play with print outs. As you can see with our wall, galleries are not just meant for painted walls. Wallpaper can be used to create the perfect backdrop. 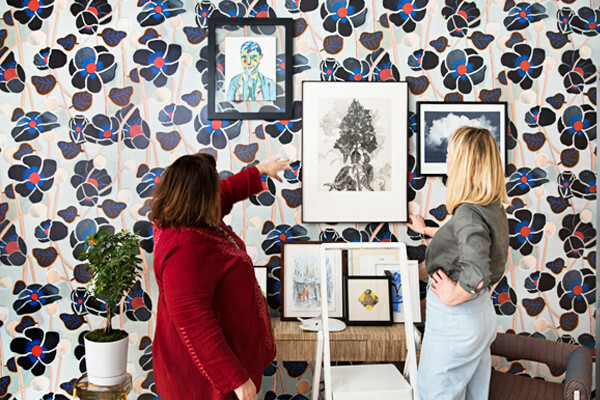 When working with a wallpaper, make sure the palette of your pieces has enough contrast with the pattern while still complementing the overall color scheme. Remember, you don't need make a perfect linear grid. Sometimes the most interesting arrangement comes from creating asymmetry. Don't let yourself become overly intimidated by perfecting the placement of each piece. Nail holes can always be filled and your gallery wall will continue to evolve as your collection grows. 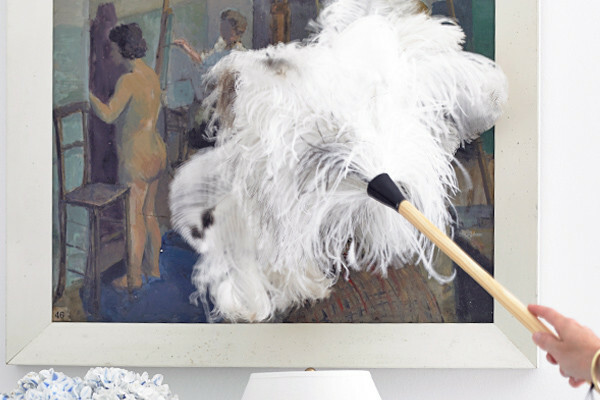 Of all the ways to describe your glorious gallery wall—dirty and dusty should not be one of them! 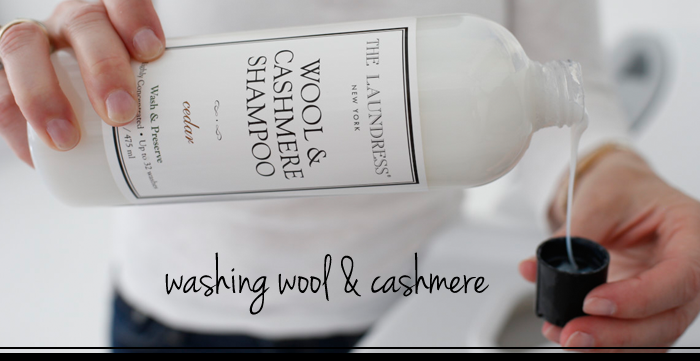 Get in the cleaning frame of mind with our How-To.